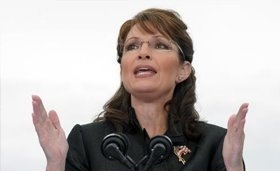 A few days ago I couldn't find many news items about Sarah Palin. Today my inbox is full of Google alerts, mainly about the explosive revelations leaked from The Rogue and about the Doonesbury comic strip, also related to the book. Todd Palin made a ghostwritten statement about the stories, via Scott Conroy's Twitter. I can't see a guy who writes the plural of shoes as "shoe's" using the word "innuendo." The story about the one-night stand with a basketball player wouldn't seem so explosive if it had been about somebody who doesn't preach abstinence before marriage. We already knew that she was pregnant when she got married to Todd and who knows with how many lesser known partners she had practised abstinence by that time... This revelation is bound to disappoint her "family values" supporters and the fact that the guy is black will horrify those who can't bear the idea of having a black president. There are also reports of rifts among Palin supporters, with some showing their frustration with Sarah Palin's teasing about running or not. 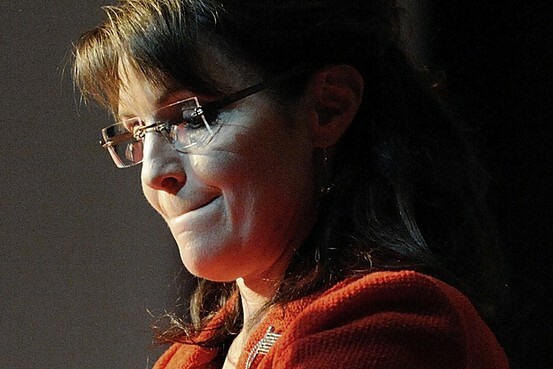 A seemingly irreparable divide has developed between Sarah Palin’s key supporters in Iowa. On one side is Peter Singleton, the California lawyer who moved to Iowa ten months ago, traveled the state meeting with activists, and created Iowa’s Organize4Palin group. On the other side are several longtime Iowa political activists who volunteered countless hours to develop a grassroots network of support for the former Alaska governor. The dissension in her Iowa ranks goes along with the continuing narrative about Palin being disorganized. The Iowa Caucus is less than five months away. Peter Singleton says his group has “laid the groundwork” for Palin in the state. However, Bergman, Beeber and Rogers do not believe there is a legitimate campaign structure in place. They will try to help her create one, but Sarah Palin is running out of time, and some of her biggest supporters are losing their patience. C4P lost a member as well. The person who runs PalinTV cites personal reasons for leaving their ranks. "This is a man who has been relentlessly stalking my family to the point of moving in right next door to us to harass us and spy on us. He traffics in innuendo and falsehoods. A few years ago he interviewed members of Sarah's administration for a magazine article, and afterwards they said that he was the most disingenuous and intellectual dishonest writer they'd ever dealt with. He's spent the last year interviewing marginal figures with an axe to grind in order to churn out a hit piece to satisfy his own creepy obsession with my wife. I'd ask that people consider these facts when evaluating his latest lies." "I'd ask the fathers and husbands of America to consider our privacy when one summer day I found this guy on the deck of the rental property, just 18 feet away next door to us, staring like a creep at my wife while she mowed the lawn in her shorts, unbeknownst to her that he was prying. As well as our teenage daughters while they tried to enjoy our traditional Alaskan summer days outdoors. Joe's son told the media he advised his dad not to move from the East Coast to become our next door neighbor, but said his dad 'was just waiting for Todd to be out of the picture.' Sarah has never spoken to this intruder into our lives, our friends and family don't speak to him, so we have no idea where he would come up with content for his book. He was on our doorstep one day trying to make conversation with our son until Track cut the conversation short after discerning Joe's odd behavior, and I spoke to him one time when I saw him 18 feet away, just to find out who he was. He took that conversation and reported it to the media as me 'threatening' him."